When we first started making our beard combs we had a very good understanding of the limitations of the material we we’re working with. I came to comb making from furniture making. A career that spanned 2 decades and one that grew my love for wood into an obsession. Wood unlike metal and plastics, offers such warmth and character, but with this comes structural limitations. The never ending development and improvement of our products is something we strongly believe in here at Big Red Beard Combs, and it’s this desire to build a better quality product that has kept us moving forward. 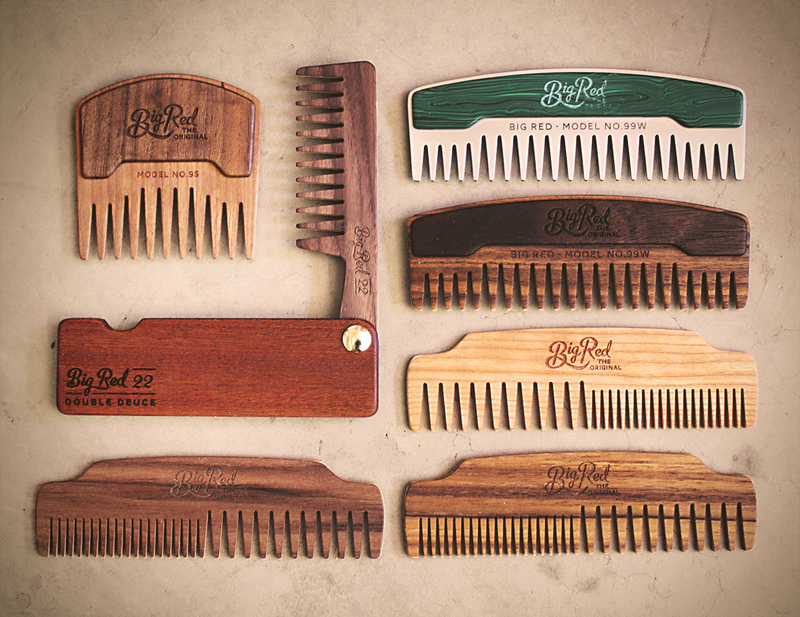 Using a custom shop made multi ply has kept our combs strong. Over time we’ve played with layer numbers and even varying layer thicknesses until we reached what we think is the perfect balance of strength, flex, and thickness. 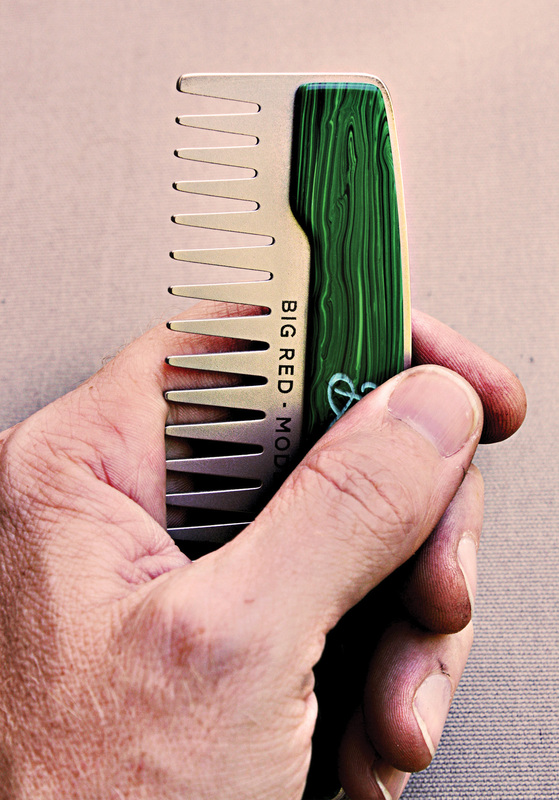 We then added a hybrid comb. The No.99’s and No.95’s have been a huge success and allowed us to overcome size restrictions. 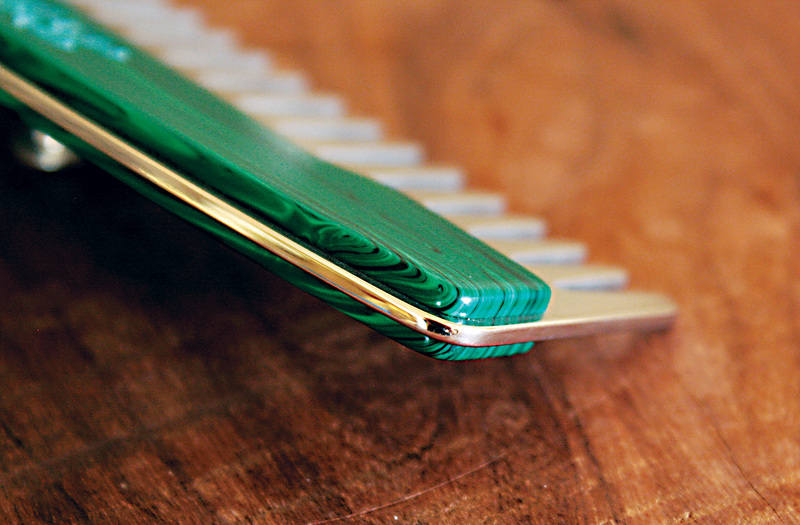 The addition of wooden scales that pass through the comb and interlock with each is another great leap forward into increasing structural strength but we can’t bring ourselves to stop there. Feedback on our combs, how they’re preforming, and how they fit into our customers daily lives is extremely important. We’re listening and welcome the feedback. Keep it coming folks. Our recent decision to explore different material such as metals and stone, amongst others is in direct response to customer feedback. We understand some of you out there live some pretty extreme lives, which require serious beard gear. Metals offer us a new direction and open the doors to further design development and we’re excited to see what will come of these explorations. The No.99 in stainless steel and Malachite stone was a good starting point. It’s allowed us to explore these new materials in a design that has been thoroughly tested in wood with huge success. The outcome is simply stunning and has us excited about the possibilities ahead. We thank all our current and future customer for all their feedback and encourage you all to let us know what you like, and dislike, about our products so we can continue our obsession with the better beard comb. 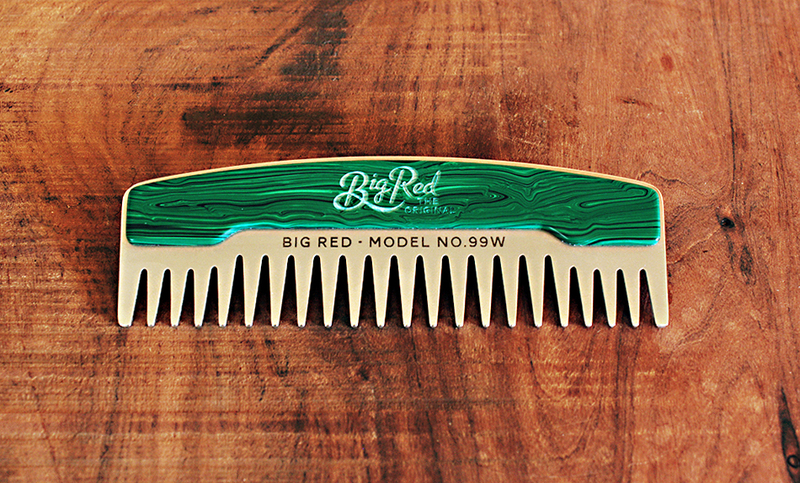 That is one beautiful comb! I would buy that for my boyfriend in a heart beat!